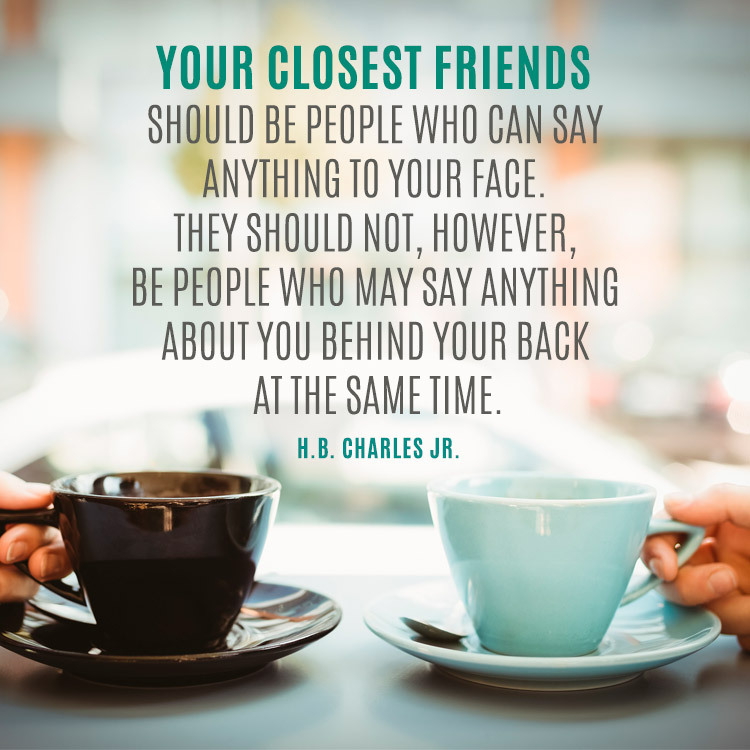 Your closest friends should be people who can say anything to your face. They should not, however be people who may say anything about you behind your back at the same time. – H.B. Charles Jr.
Posted on 21 Aug 2017 by Crusty	• This entry was posted in christian, christianity, Faith, spiritual and tagged Christianity, christians, devotional, expectations, Inspiration, spiritual. Bookmark the permalink.